Triggering a Trump meltdown: What was the point of that anonymous Op-Ed piece, anyway? Thirty-nine years ago this past summer, I was working in a dingy cubicle in a K Street office building in Washington, DC when the man with white belt and shoes walked by. I was working as an investigator for the President’s Commission on the Accident at Three Mile Island and the man with white belt and shoes was a security consultant hired by the Commission to deal with a series of news leaks about our work. As a result, this consultant was overseeing the installation of an expensive video surveillance system, showing it off at that moment to the chief administrator for the Commission. GDPR Kills the American Internet: Long Live the Internet! I began writing the print version of this rag in September, 1987. Ronald Reagan was President, almost nobody carried a mobile phone, Bill Gates was worth $1.25 billion, and there was no Internet in the sense we know it today because Al Gore had yet to “invent” it. My point here is that a lot can change in 30+ years and one such change that is my main topic is that, thanks to the GDPR, the Internet is no longer American. We’ve lost control. It’s permanent and probably for the best. Whatever happened to baby steps? 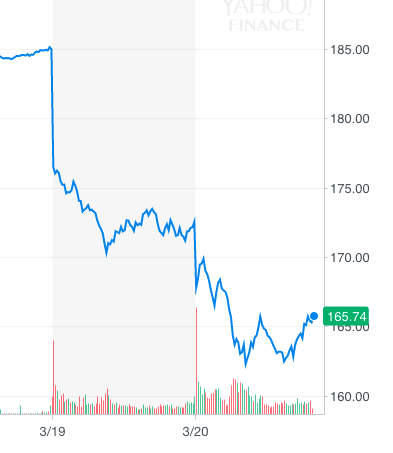 Facebook shares are taking it on the chin today as the Cambridge Analytica story unfolds and we learn just how insecure our Facebook data has been. The mainstream press has — as usual — understood only parts of what’s happening here. It’s actually worse than the press is saying. So I am going to take a hack at it here. Understand this isn’t an area where I am an expert, either, but having spent 40+ years writing about Silicon Valley, I’ve picked up some tidbits along the way that will probably give better perspective than what you’ve been reading elsewhere. When I started this series of 2018 predictions I said the recently passed U.S. tax law was going to have a profound impact on upcoming events. Having had a chance to look closer at the issue I am even more convinced that this seismic financial event is, as I wrote above, a $591.8 billion taxpayer ripoff. This is not to say there aren’t some possible public benefits from the repatriation, but it’s fairly clear that the public loses more than it will ever gain.